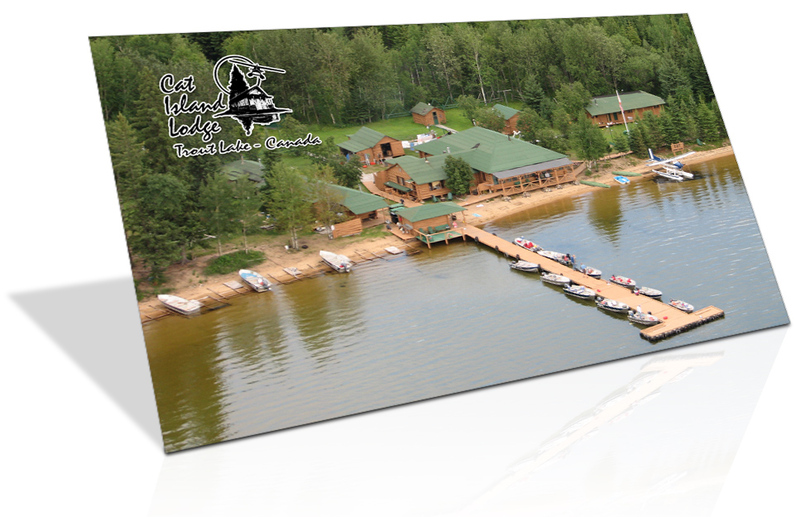 Let us fly your group to a remote lake where you will enjoy the true tranquility of Northwest Ontario. Our camp sites are well chosen and are ideal for tenting. Wildlife abounds on these lakes, so don’t forget your camera. 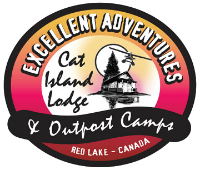 Excellent Adventures Fly-in Camping Trips. 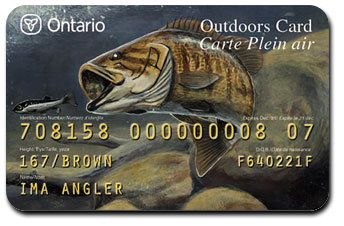 Your trip starts in Ear Falls, Ontario where once your group is briefed on fishing hot spots, and after checking your equipment, you will be transported by one of our pilots to your lake. 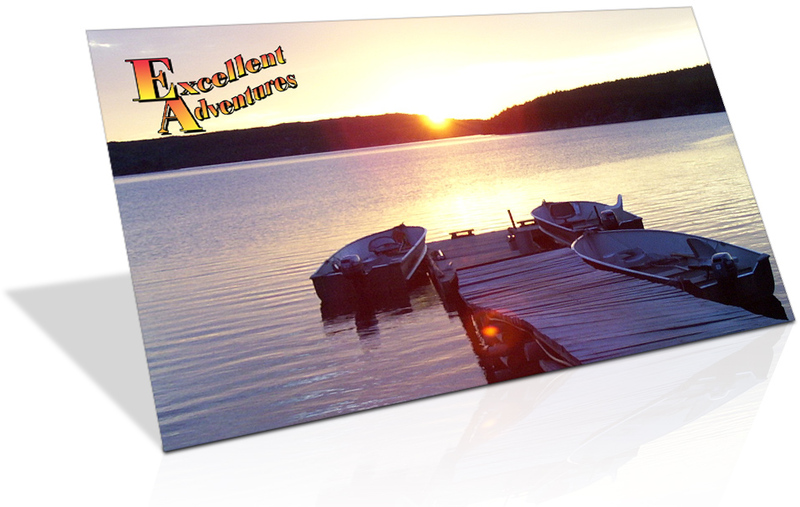 We have several lakes that we think would be good for your group. Some are catch & release, some conservation and some you can take your limits out. If you have a lake preference please give me a call and I will forward a map of the lake to you. At that time I could give you an exact cost on the trip. Springpole Lake a 35 minute flight, is a good lake. 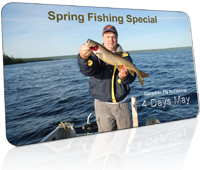 Good trout, walleye and northern fishing. Chance to catch a trophy in all 3 species. It has a falls at the southern lower side of the lake. We had groups in there last year and they are going back again this year. They camped on an island on the south end of the lake. Said it was great. Caught some real nice fish. Good weed beds on the lake for northern. The lake has a couple of cabins on it but is so long you might not see anyone else. Lots of places to explore. You definitely won’t get bored on this lake. About 15 miles in length but you can get out of the wind almost anywhere on the lake. Bertha Lake a 30 minute flight has good walleye and northern fishing. You can also get into Ruddy lake from this system. There is 2 outpost on this body of water so you probably will see other people on the lake. Camping is also on an island. About 8 miles of water on this lake. Brokenmouth Lake a 25 minute flight is strictly catch and release fishing. Some great fishing on this one. Lake is about 4 miles in length with some good weed beds. Easy to fish. camping is off a sand beach shoreline. Great camping spot. No other camps on this lake. 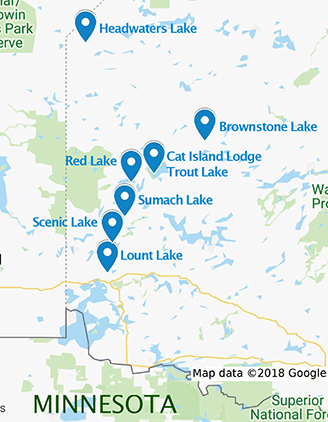 All these lakes will accommodate your group. Fishing is good on all of them. Boats are 14′ and 16′ in good shape outfitted with 8 hp Yamaha outboard motors. We also have paddles, nets, cushions and swivel seats for the boats. We do stop in mid stay of your trip with more ice and bait if needed. We try to keep our gear to 200 lbs per person. If this creates a problem let us know so we have the right aircraft scheduled for your flight in. If you need, we can outfit you with tents, propane stoves, lanterns, dishes and other camping equipment. We also offer satellite phones and do complete food packages for your trip.